Your home is your castle and deserves to be respected. That’s why our drivers and collectors dispose of your waste with care. Our professional employees take pride in their appearance as well as the homes they service. 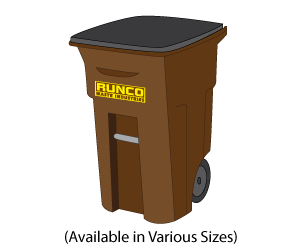 You can expect superior waste collection without mess when you choose RUNCO Waste Industries for your home. We have solutions for: Weekly Waste, Recycling, Home Remodeling, Roofing, Bulk Items and more!